Are you a worker in Hawthorne, CA? 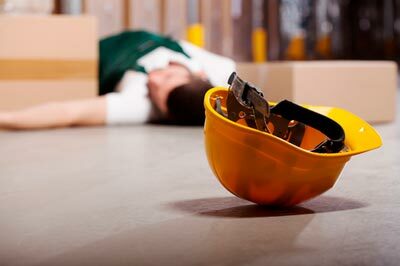 Have you sustained a severe injury at your site of work? Some injuries might be due to your exposure to some harmful chemicals that tend to cause serious ailments. Are you in search of an experienced attorney to handle your case because of the complexities involved? Rawa Law Group has the perfect work injury attorney in Hawthorne to help you. Rawa Law Group is a 5-star law agency that stands out in its quality of legal services in California. Rawa Law Group is a name that is synonymous with outstanding and experienced work injury lawyers. We have helped thousands of injured workers in the past and have put our more than 55 years of combined legal experience to proper use. When we are hired, we do not work alone, we ensure you have a voice and are kept informed of your case from the beginning to the end. We also ensure that you have full guidelines to keep you from making mistakes that will be costly to our chances of winning the case. Clients who are still productive can have flexible appointment hours with us, while those who have been severely injured or amputated will have our attorneys visiting their homes/hospital during the case. The beautiful thing about hiring our services is that you do not have to pay a dime for consultation. You only pay us after we have won your case! If you want to hire an experienced work injury attorney in Hawthorne, CA, Rawa Law Group is at the address below.